Make Direct Energy your Massachusetts electric supplier and trusted home services provider for electricity, plumbing, electrical, and HVAC services. We strive to be more than just your average Massachusetts electricity supplier. Beyond our competitive natural gas prices and electric rates in Massachusetts, we also have a variety of electricity and natural gas plans to fit your needs. 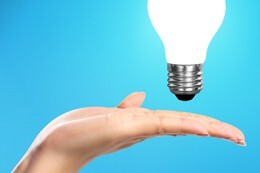 View our plans today to see how you can save when you switch from your Massachusetts utility company to Direct Energy! 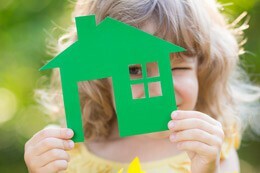 Give your home the protection it deserves with Direct Energy's Home Protection Plans. You'll get regular maintenance of your equipment and appliances, plus 24/7 emergency support for any breakdowns that occur. Looking for more than just energy from your Massachusetts energy supplier? At Direct Energy, we also have a team of professional plumbers, electricians and HVAC specialists to help keep your Massachusetts home running smoothly year round. Call Direct Energy Home Services in Massachusetts today for 24/7 service. 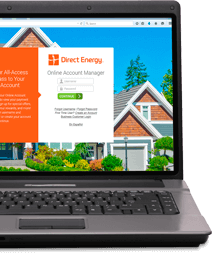 View your energy usage in our Online Account Manager. Now that you have the power to choose your Massachusetts energy supplier, you're not bound to local utility companies like National Grid. Check out the electricity and natural gas plans that Direct Energy has to offer. #LiveBrighter and help the planet by selecting our Smart Source plans that use 100% renewable energy! Historically, your electricity was supplied and delivered exclusively by your Massachusetts utility company. Thanks to deregulation, you've now got options when it comes to choosing a MA energy supplier- and we're proud to be one of them. Shop around with Direct Energy for the perfect plan for you, your home, and your budget. Join our Facebook, Twitter, Instagram, Pinterest, YouTube, and LinkedIn communities. You'll get the latest industry news, updates for our customers, important weather information, and energy efficiency tips. Be on the lookout for special promotions and games on our page, too - there's always something fun going on. Welcome to our very social Direct Energy community! We're honored to service the homes of the men and women in our military communities. With our Military Savings plans, you'll get an exclusive discount on electricity service for your home in Massachusetts. It's our way of saying thanks for your service to our country.